“Palestinians in the West Bank city of Nablus threw firebombs and fired guns at Israeli soldiers escorting Jewish pilgrims to visit Joseph’s Tomb. The Israeli security forces also found two explosive devices in the tomb, which were defused by sappers. The troops responded to the attacks with tear gas and live fire. The Palestinian WAFA news agency said that 20 Palestinian rioters were injured in the clashes. About 1,000 Jewish pilgrims prayed at the tomb during the overnight Wednesday visit. Joseph’s Tomb is holy to Jews, Muslims and Christians. 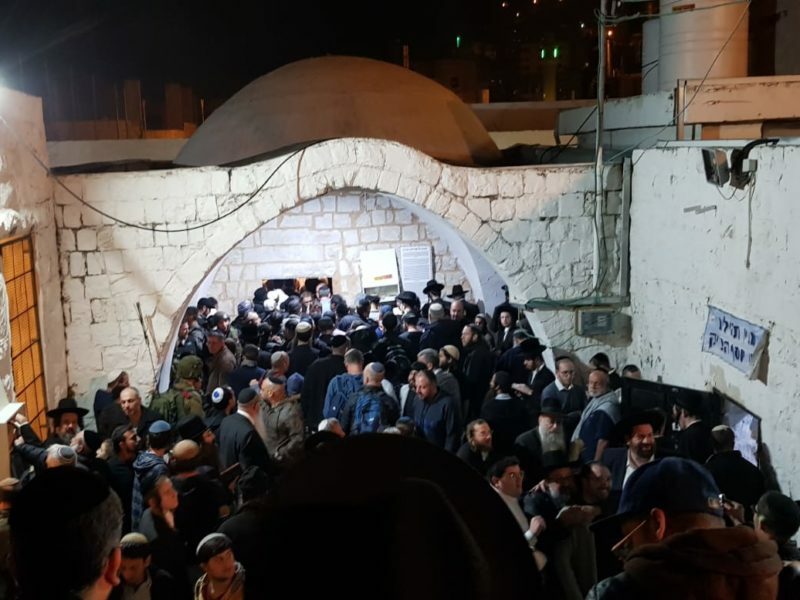 Israeli Jews must receive permission to visit the purported burial place of the Jewish patriarch; the visits are coordinated with the Israeli army. Under the 1993 Oslo Accords, the site was to remain under Israeli control, but the Israeli army evacuated the premises in October 2000 during the second intifada and the tomb was burnt down by Palestinians. It was renovated and restored, but then torched and vandalized again in October 2015.